Over 200,000 people in Ireland suffer from type 2 diabetes and are dependant on medication to manage it. But Dr Eva Orsmond has successfully helped her patients reverse their type 2 diabetes through diet, supplements and hard work. Dr Eva is passionate about empowering sufferers to take control of their health and here she shares her complete diet plan for reversing the disease. Including over 60 recipes, this book also provides lots of information to help you to adjust your diet and take control of your blood glucose levels. By following Dr Eva's four-phase diet plan you will remove fat from your pancreas, potentially allowing you to come off diabetes medication and move into maintenance for life. 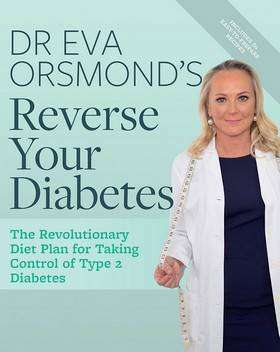 Based on the latest medical research and using case studies from Dr Eva's own practice, Dr Eva Orsmond's Reverse Your Diabetes is a must-read for anyone suffering from the disease.